The sales environment today is an ever-evolving landscape. In the 2015 HubSpot State of Inbound Report, sales people indicated that referrals were their top source of leads. But now, only 2 years later, this has already dropped by 11% and leads directly sourced by sales teams are now in the prime position. According to HubSpot’s State of Inbound Report for this year, one thing that does seem to remain fairly consistent is the sales priorities held by sales and marketing teams which have seen only small shifts over the last few years. The one thing that is clear is that converting leads into successful customers continues to be most important priority for both sales and marketing alike. The State of Inbound Report maps the responses of a global professional audience: 6,399 professionals across 141 countries were surveyed and information from a wide variety of people in sales and marketing was collected and collated. Naturally, the top priority for sales reps is to convert good prospects into successful customers (closing the deal, so to speak). However, this is all dependent on the quality of the lead. Marketing continues to sing the praises of their Inbound Marketing efforts by rating Inbound Marketing leads as the highest quality lead type year after year. The State of Inbound Report demonstrates that salespeople continue to face problems like getting a response, closing a deal and prospecting. Following a solid sales process is at the heart of sales efficiency. One of the best ways to do this is by measuring the efficiency of the sales funnel. Pinpointing inefficiencies is a vital priority as it helps marketing and salespeople spot the leaks and plug the holes in the sales pipeline. Not all prospects that enter the sales funnel are going to convert into customers, nor should they. Every business gets leads but some are from people who are not decision makers, or who might not have the budget. They may just not be ready to buy now. As a result, the sales funnel is “leaky” and sales efficiency suffers as a result. If you are able to plug preventable inefficiencies, you will increase your conversion rate and sales will grow. Sales and marketing teams need to focus on the sales funnel — in other words, the CRM solution — and use it as a key tool to help them work smarter, increase sales efficiency, and close more deals. We call this sales enablement. As we see social media dominating the digital space in all avenues – be it personal browsing, business advertising or a means of cascading news. 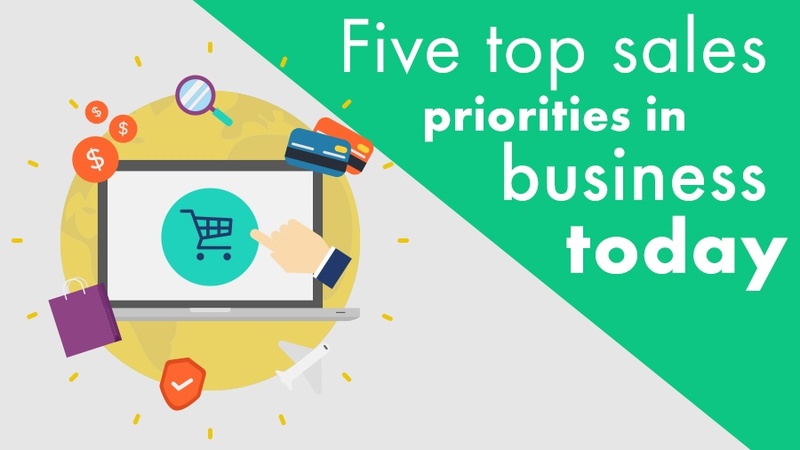 We now see it has moved from low down in the list of priorities for sales people, to become the third highest priority of 2017. According to the report, email still dominates as the major tool in sales and marketing, followed next by face-to-face contact and then the traditional telephone. But this does not dilute the importance of social selling. While it might still be in the minority when it comes to preferred communication methods, we are seeing an increase in its usage, indicating that the value of social selling is increasingly being recognised. Sales and marketing professionals rate LinkedIn the best, followed by Facebook and Twitter. As mentioned earlier, working in sales and marketing is an ever-evolving landscape and as we see the use of Inbound Marketing increasing, so the importance of training the sales team to keep abreast becomes even more of a priority. New tactics in social selling, sales enablement, updates on CRM systems and internal communication processes should all be the subject of regular training. For sales people, the early phases of the sales cycle are the biggest challenge. Of the whole cycle, closing seems to be the easiest part. This demonstrates that marketing teams need to place importance on the qualification phase of the process by implementing better lead scoring software that will not only speed up the entire sales cycle but also instil more confidence in sales team when prospecting leads. Another way in which the length of the sales cycle can be reduced is by improving the data entry process. The State of Inbound Report shows that sales people are spending more time on data entry this year, compared to last year, and this is a trend we need to see dropping if the length of the sales cycle is to be reduced. Fortunately, the sales and marketing professionals involved in this survey are aware of their challenges and have prioritised them as issues to work on in the next year. It will be interesting to find out next year, whether any of these problems have been resolved, or if they are in fact, worsening.